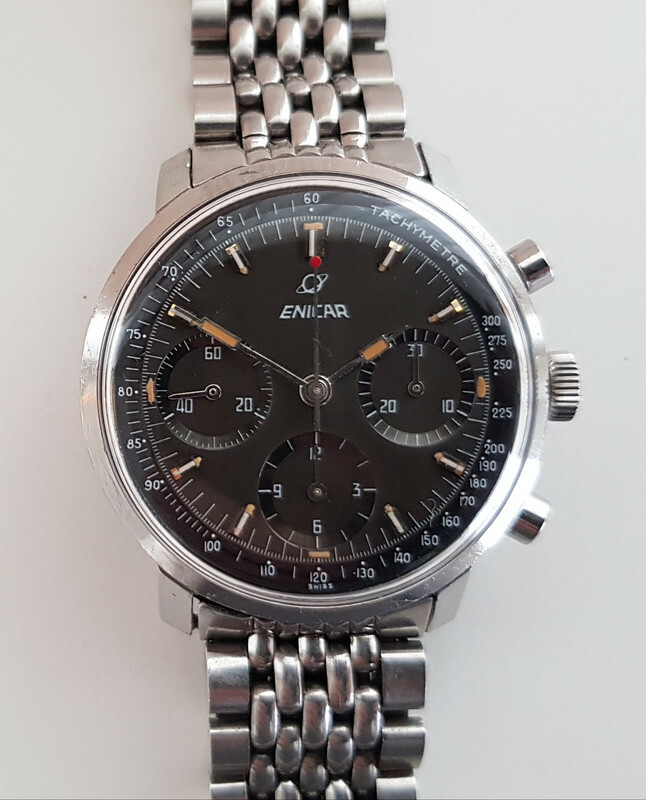 For sale is a beautiful Enicar Garnix 2303 with original BOR bracelet from circa 1965. 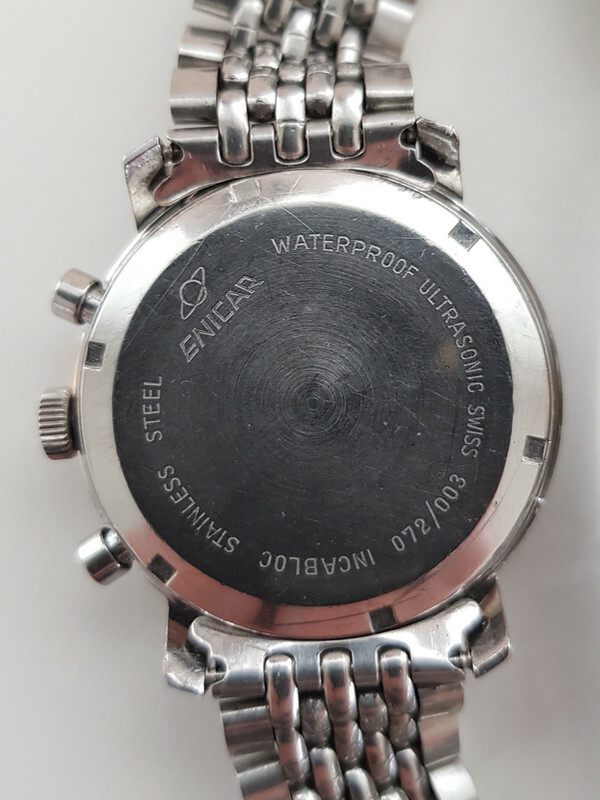 CASE: 36mm, stainless steel EPSA case, screw back and acrylic crystal in very good and unpolished condition. 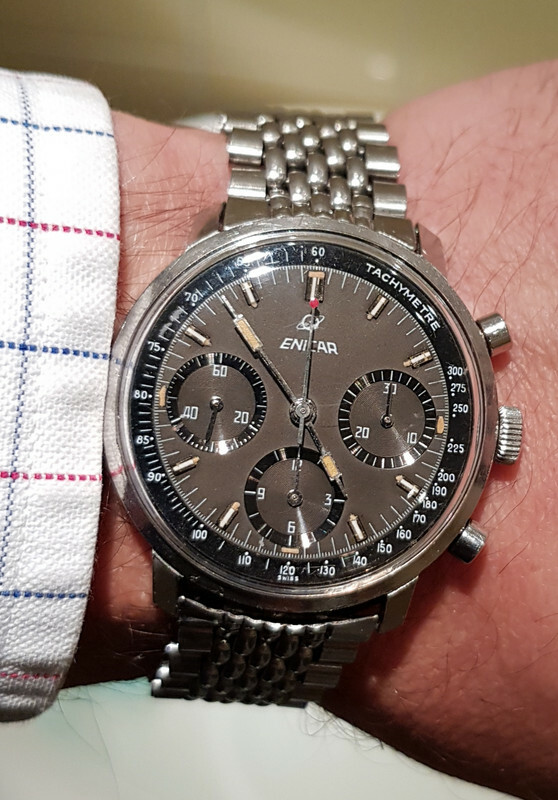 DIAL: Black matte dial with three registers tachymeter scale in very good condition. Original lume. 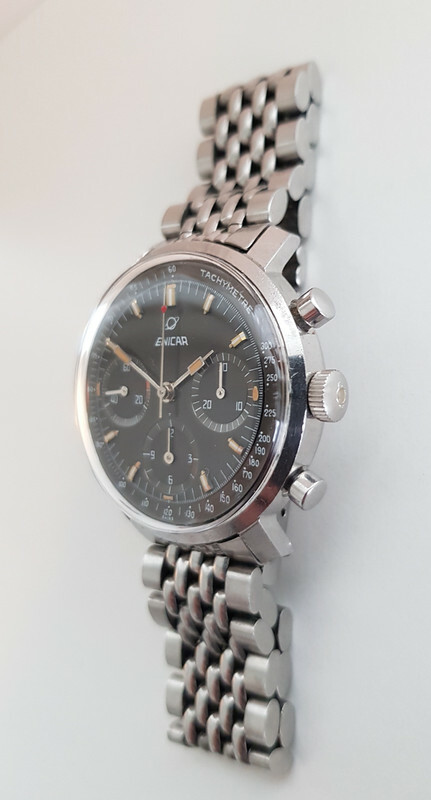 Hands: Original paddle hands and red lollipop chronograph seconds hand in very good condition. Original lume. MOVEMENT: Calibre Valjoux 72, hand-wound column wheel chronograph in original and full working condition. CONDITION REPORT: Overall excellent condition and working order. An amazing piece. 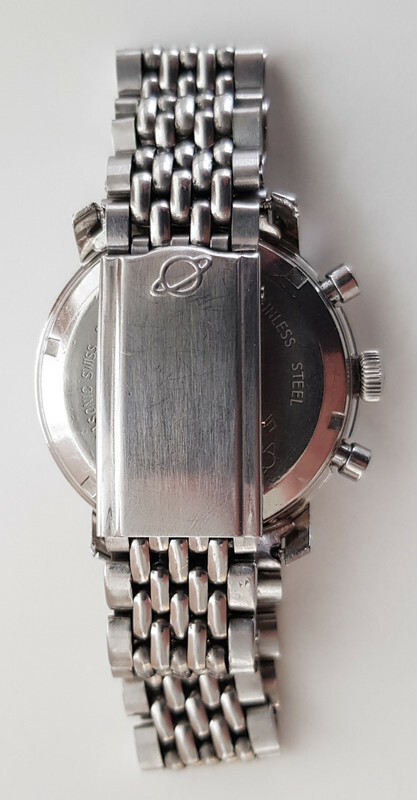 Asking 4400 Euro. Worldwide insured shipping included. Payment via paypal friends or via bank transfer.